The main function of the website is a database where you can list diesel engines and spare parts you have for sale or search for items you want to buy. Potential buyers are put directly in contact with sellers to save both parties both time and money. 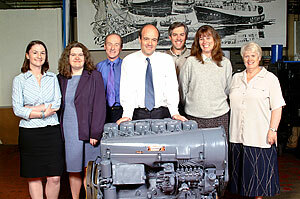 A FREE discussion forum for all matters related to diesel engines and spare parts including technical issues, support and much, much more. The website was launched in July 2000 and its popularity is growing rapidly ever since and visitor numbers continue to rise every month. 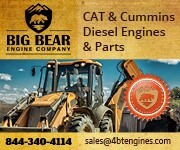 Now with many thousands of engines and spare parts on the database from many hundreds of sellers across the world, DieselEngineTrader.com is becoming a leading resource for both buyers and sellers of diesel engines. 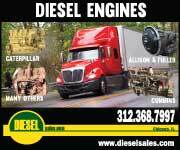 E Diesels, who owns www.dieselenginetrader.com, is a independent and privately owned company and is not connected with any diesel engine manufacturer. Please visit our Frequently asked questions section where you will find more information about our site and answer to most of your questions. We look forward to your comments and hope that you will find DieselEngineTrader a valuable resource for many years to come.